We plan to go ahead with the Club Presentation Eve on Saturday evening in the hope that the worst of the Beast from the East will have passed. Paul at Caffi Moel Siabod is planning to open as normal tomorrow (Fri) & Sat, & the info we have re. the forecast for Sat eve is as follows: ‘No weather warnings. Dry. Temperature zero.’ Therefore get your glad-rags ready – we will rock!! 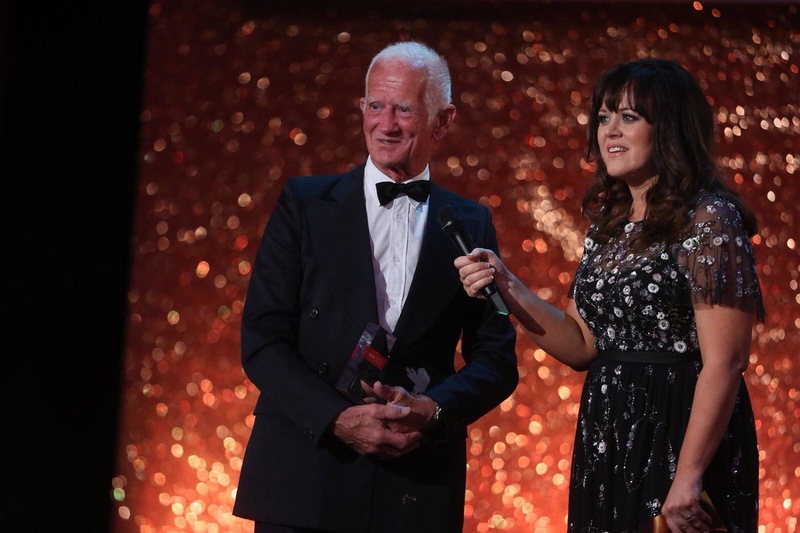 BBC Wales SPOTY Unsung hero, Mike Blake. So we are finally allowed to officially announce the news that Mike Blake has won the BBC Wales Sports Personality of the Year Unsung Hero Award! This means he now goes into the pot with the other nominees from England, Scotland and Northern Ireland and he has got a VIP trip to the BBC Sports Personality of the Year Awards in Liverpool in December to look forward to – how exciting Mike, so well-deserved award and we are all very proud of you!!! 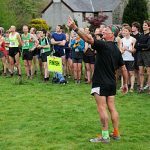 Veteran fell running organiser Mike Blake is BBC Wales’ Get Inspired Sports Unsung Hero for 2017. Mike Blake has made the top 3 in Wales – BBC Unsung hero award! We have nominated Mike Blake for the BBC Sports Personality of the Year Unsung Hero Award and we are so chuffed to let you know that he has made the final 3 for Wales! SO WE NEED YOU! THIS IS ALL ABOUT SUPPORT FOR MIKE AND SUPPORT FOR HIS NOMINATION! 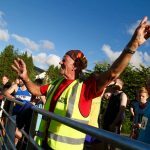 BBC Wales are coming to do some filming in Llanberis this Sunday morning from 10am – there will be the usual Sunday Morning Run starting at 10.30am from Llanberis led by Jenny Heming up Moel Ellio. There will also be a junior session, starting at 11am. Everything will happen from Dolbadarn Castle Car Park (where the Peris starts from) – this will be the ‘hub’. Even if you can’t join in with any of the running, it would be fantastic (REALLY REALLY BRILLIANT in fact) if you could come to the car park at 12noon to join in and support the ‘event’. We want to show how brilliant Mike’s contribution to fell running has been! JUNIORS/PARENTS OF JUNIORS/ALL – Please be aware that there will be filming going on! So please come along and support Mike’s nomination for the Unsung Hero Award, this is our opportunity to say thank you. The relays are now a distant memory, the clocks have gone back and the nights drawing in, so it’s time to turn our attention to the Winter activities of the club. Following a busy Summer things don’t really ease off too much as the Cross Country & Border League take over (both free to enter by the way!). The first of the upcoming events is the club AGM where it’s your chance to hear what’s going on in the club. There will be a review of the year, a look forward to next year and an opportunity to join the committee and have some input to the future direction of the club. To give you some ideas of our work recent topics have included: club communication, updating the website, contact from the 1000m race organisers, presentation evening and obviously a few others! It’s not all tea and biscuits you know! As some of the committee are not seeking re-election we are definitely looking for people to join and fulfill roles but please also note that all positions are to be re-elected, just because someone has said they will stay on doesn’t mean they have to! Below is a list of the current committee and if you wish to stand all you need is a proposer and a seconder at the AGM. My personal thanks firstly to those who will be standing down this time for all their time and efforts in their roles. It is hugely appreciated and whoever fills those roles has got a tough act to follow! Secondly to all those who are happy/prepared to continue. I’ve appreciated your support this year and think we can be proud of what we have achieved in particular the relays and our 40th celebration party. As I said previously all posts are up for voting so please if you are keen to get involved then get in touch. Meetings are roughly every 6 weeks and are held at Celtest (thanks Dyfed!) in Bangor on Wednesday evenings starting at 7pm (or as close as we can! – think Tuesday Night Series race start times!). The AGM will be held at PADARN LAKE HOTEL on TUESDAY 14TH NOVEMBER FROM 7PM. The evening will start with food paid for by the club, which will be buffet style with the following options: Mixed Bean Chilli, Mushroom Stroganoff and Chicken Supreme all with chips, rice and salad for main and for dessert: apple and peach crumble or choc cake with ice cream. We would be grateful if you could contact Mike Blake and let him know your choice so we can gauge how much we need. He can be contacted via e-mail: mikejohnblake@yahoo.co.uk or on mobile: 07778 145144. By the end of next week would be ideal. Following the AGM there is of course the Pen Fell Race on the 18th November (entry online at www.fabian4.co.uk) and Bangor Cross Country on the 25th November. This is ‘our’ event so any helpers/cake makers and runners will be more than welcome. Contact Becki Law for more info. On Sunday 17th December the annual Xmas Fun Run will be held from The Victoria Hotel in Llanberis including kids races and Fancy Dress Competition, followed by soup and a roll as always! At the fun run we will be holding a draw to fill the club places for the London Marathon 2018. This is open to anyone with a rejection slip and you will need to bring this along and hand it in. The draw will be held before the legendary Mike Blake raffle! Moving into 2018 the first big club event will be Presentation evening where we take the opportunity to celebrate some of the fantastic achievements of the previous year. Pencil in your diaries Saturday 3rd March (hopefully we’ve avoided any rugby!) and more details will be published in due course. The AGM is an important evening as it will steer the direction of the club for the following 12 months but it’s also an opportunity for club members to come together and I hope to see as many as possible on the 14th. Cakes needed for Fell Relays! Calling all Eryri Harriers Cake Bakers! We need homemade cake for the Fell Relays. Delivered Saturday evening(14th Oct) or early Sunday morning (15th) to race HQ (same as in 2013). Please let Louise Emery know if you can provide cake. The Peris Horseshoe is a month away and I’m looking for marshals. 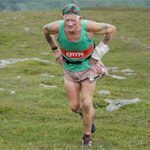 This has been an iconic race for Eryri Harriers for a number of years and this year is part of the Open Welsh & North Welsh WFRA Championships. For those new to the Peris there are Full and Half versions. The Full takes in Elidir Fawr, Y Garn, Glyder Fawr before dropping to Pen y Pass then climbing Lliwedd, Yr Wyddfa & Moel Cynghorion to finish back in Llanberis. The half completes the first three summits and finishes at Pen y Pass. As with every race they can only go ahead with the help of volunteers out on the hill so if you can spare some time on Saturday 9th September it would be greatly appreciated. The major marshal locations are the 6 summits, Pen y Pass (Half finish & drinks station) and the finish of the Full in Llanberis. So there’s something for everyone!! Please get in touch if you can help and pass on to friends, family and clubmates as everyone is welcome. In the past couple of years we have been lucky that peopel have been generous with cakes which we have used at the Half finish/feed station of the full and at the finish of the full. If this can happen again then I’d be very grateful. It all helps to create the atmosphere of the race. One final thing! This year registration/HQ will be in Electric Mountain rather than The Heights. The Heights have been great to us over the last few years but it’s not an ideal scenario for either them or us as race organisers. Electric Mountain will make a great race HQ. Sunday 18th Dec. Start 11am. Registration and start at Victoria Hotel, Llanberis.